Beyond the capital, but also beyond the well known villages of Alcala de Henares, Aranjuez and San Lorenzo del Escorial. The Madrid area has charming villages, scattered in a natural environment full of mountains, plateaus and river basins: Madrid treasures villages with splendid buildings, town squares full of historical heritage, and monumental streets. You just need to drive a few kilometers to enjoy a fantastic day trip, a weekend getaway, or a short holiday. Heritage, history, gastronomy, leisure, nature, relaxation and much more in the 801 localities (179 municipalities) that make up the Madrid region. We have selected five for our list, the most beautiful villages in Madrid, you shouldn’t miss these out. Under the influence of the port of Somosierra, Buitrago del Lozoya holds the best preserved medieval fortification of the Community of Madrid. You can still see its entire old city walls, declared a National Monument in 1933. The wall (built in 11th century) and the castle with seven towers (15th century Gothic-Moorish architecture) are the main attractions of a town whose Historic-Artistic and Cultural Interest was declared in 1993. The wonderful main gate of Buitrago leads us directly to the church of Santa Maria del Castillo, a temple built in a delicate Moorish style with spectacular coffered ceiling. In the middle of the Lozoya Valley in the Sierra de Guadarrama, the river of the same name performs the functions of a natural defense moat: it surrounds the village in almost all sides. 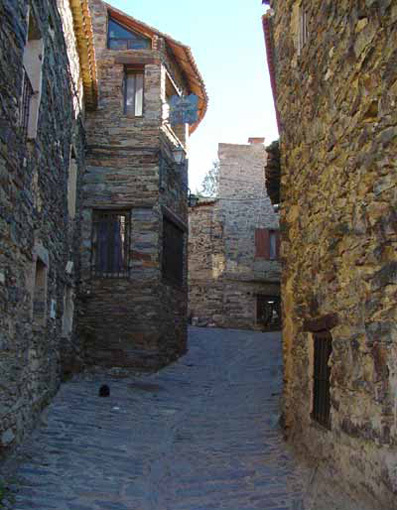 And, among green landscapes, oak and pine forests and medieval corners, this village boasts a renowned museum: the Picasso Museum – Arias Collection, which houses a peculiar collection forged through a 26-year long friendship between two Spanish exiles: the artist Pablo Ruiz Picasso and his barber, Eugenio Arias. 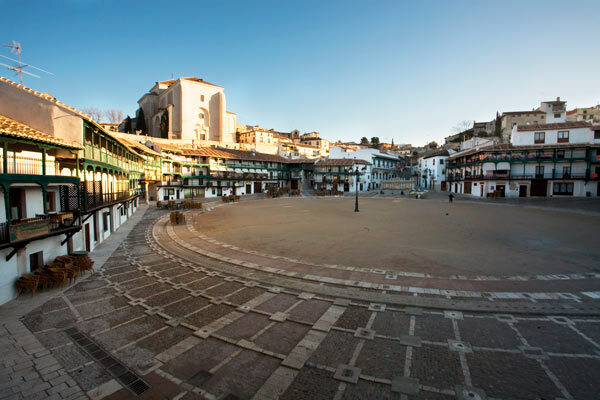 To talk about Chinchon is to talk about its Plaza Mayor, a medieval enclosure with irregular wooden balconies (there are 234) and typical arcades, which have been the stage for both classic Hollywood and Spanish film productions. A town founded by the Arabs in the 11th century that preserves almost completely the historical heritage of different civilizations. On its streets you will find the Convent of St Clare, which is now a high class hotel, the church of Our Lady of the Assumption, and also lots of houses with medieval coats of arms. Its skyline highlight the Clock Tower and the Castle. Besides its historical and cultural heritage, Chinchon, being located in the Southeast Regional Park, has nature trails such as the nearby Laguna de San Juan, Casasola and San Galindo Lakes, or Valdezarza Hill. And for those who enjoy the local cuisine, in this village, besides its famous anise of the same name, you can enjoy the most typical local specialties in its excellent restaurants: Chichoneras green beans, duelos y quebrantos, migas a la pastora or Castilian soup. Its black architecture defines the looks of Patones de Arriba, a lovely village full of slate roof houses due to the abundance of this material in the area. The slate is a constant here, where the mountain slope suits the urban layout and fits precisely in the path of the black-roofed houses. In its cobbled streets you will find houses covered with vegetation and with names like “The Witch”. The old chapel, built in 1653, works as a tourist office nowadays. The town also has a Slate Ecomuseum. Its neighbors try to make sure that this wonderful spot, located in the valley of Jarama, is preserved in the best possible conditions, since it has been declared Cutural Heritage and motor vehicles are prohibited from accessing the village. After crossing a beautiful stone bridge over the stream of Paton, you can access a viewpoint where you can enjoy some beautiful views of the village. Very close by there is the Genaro Trail that leads to the reservoir Atazar. This is the starting point for mountain climbers, hikers and day visitors who venture into La Pedriza. Manzanares el Real, at the foot of the Mountains of Guadarrama and near the source of the Manzanares river, is known because of the beautiful Castle of the Mendoza. This is the best preserved castle in Madrid and a symbol of Castilian military architecture of the 15th century. 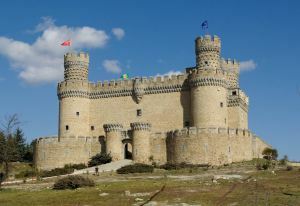 It is also the one that always appears in the top castles rankings in Spain. 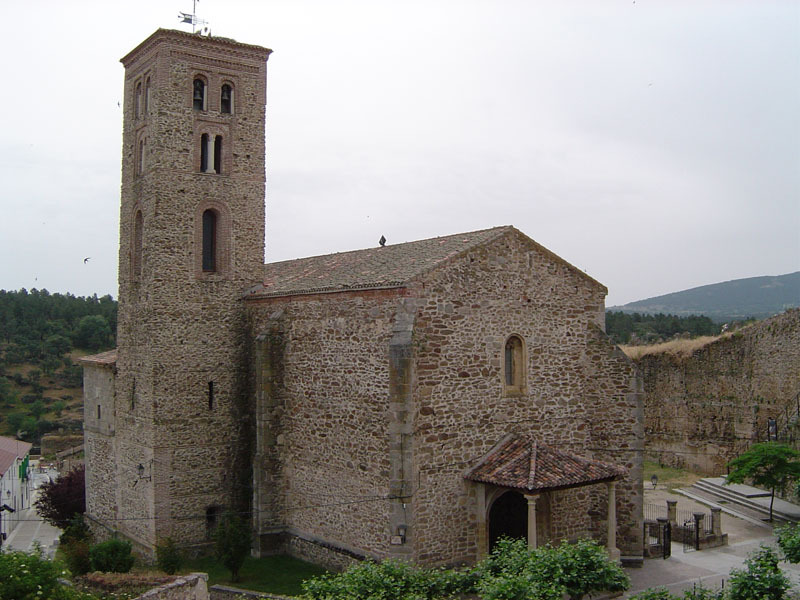 In the village you can also find buildings that are worth visiting, such as the hermitage of Nuestra Señora de la Peña Sacra (nowadays it works as a shelter for pilgrims), the Cañada Real bridge, or the Archaeological and Ethnological Museum. The village is crossed by one of the routes of the Camino de Santiago. With just two streets and less than a hundred inhabitants, this village has preserved its original urban layout: adobe and stone houses that have hardly changed over the years remain unchanged since the eighteenth century. Remote and isolated, a visit to its foutain, the Carbonera, the old Colmenar, the flour mill, and the Ethnographic Museum takes you back to another era. In addition, its spectacular natural environment will make you want to climb to its viewpoint in order to enjoy views of the whole region, to get lost in the nearby Montejo beech forest or to discover the meadow of La Hiruela, an abundant forest of oak, hazel, birch and juniper.